Oh my gosh, I cannot get over how fast these past couple of months have gone! 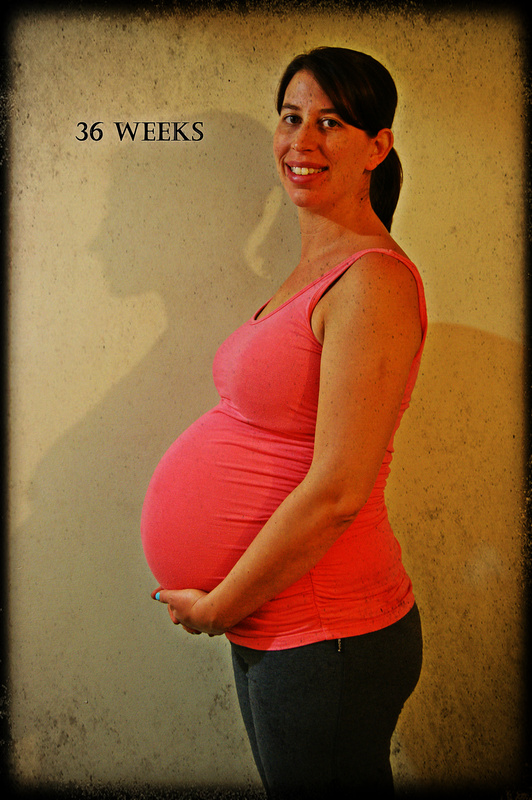 It feels like I have gone from announcing our pregnancy to being almost ready to go… How does it happen so fast? So I am feeling really good so far. None of the usual symptoms I was hearing about when I first fell pregnant like the swelling limbs, nausea etc so I am definitely counting myself lucky! We have been attending some awesome antenatal classes at the hospital where we have registered for the birth which have been really informative and helpful. There are only a few couples in the class which means we have been able to ask questions and really interact with the midwife that has been teaching us. This week is our last week and I feel like it has really helped prepare us for the up-coming birth. I have also been recommended a lovely book/birthing method called Hypnobirthing and it has made a serious difference to the way I am viewing our birth and how we want everything to “go down” in the maternity ward. The best part is that the midwives we have been seeing for our check-ups and the teacher from our antenatal class have all been so supportive about the way we want to give birth and how natural we want to go so I am actually looking forward to the experience and just can’t wait to meet our beautiful little baby. It’s going to be amazing and apparently so empowering to me as women… I just cannot wait to be the one who gets to welcome our little baby into this world in a relaxed, calm and natural way with my phenomenal, supportive and loving husband by my side! 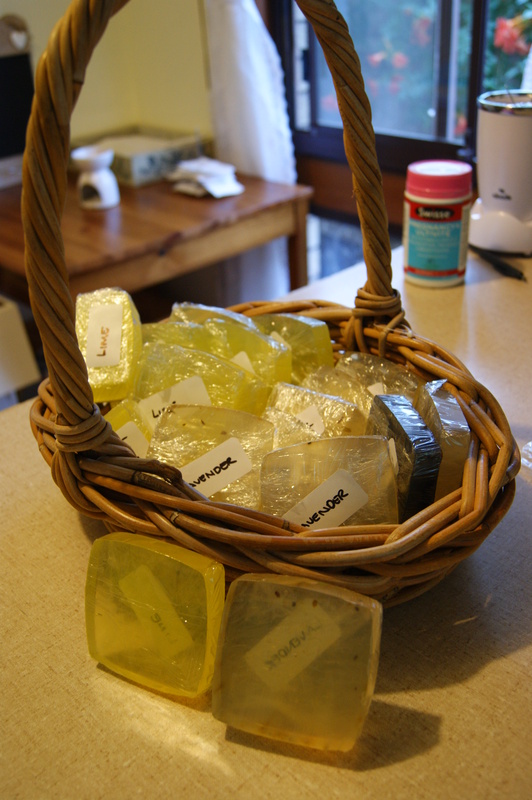 I had this great idea to make some home-made soaps to give as gifts at my baby shower. Unfortunately the lady I was buying the soap-base from on e-bay really stuffed me around and sent it nearly 2 weeks to late – AARGH! 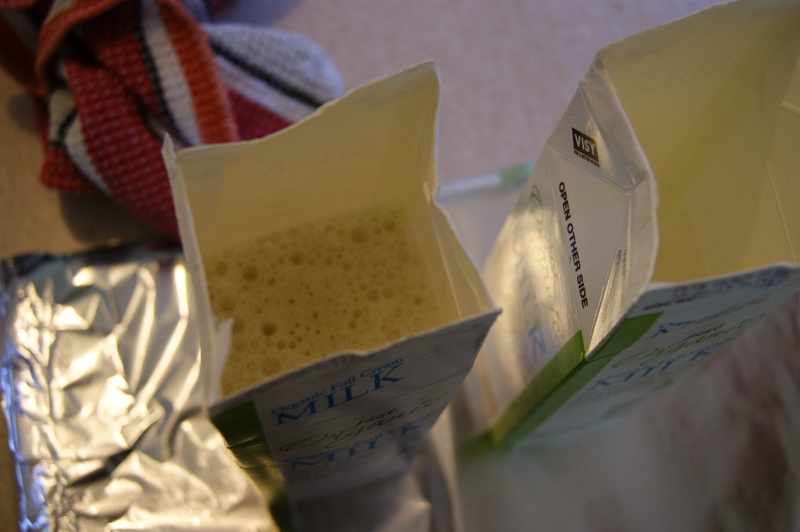 I used old (washed out) milk cartons cause I knew I could tear them apart when I was done. I placed them on a tin-foil tray just in case I messed any when pouring, which was a good thing cause I did end up messing quite a bit. Start by melting your soap base, I picked up this cool pot at a second-hand store for $2 which I now use for any crafting stuff I do. Add any colouring and essence you want, my 2 batches were Lime and Lavender. 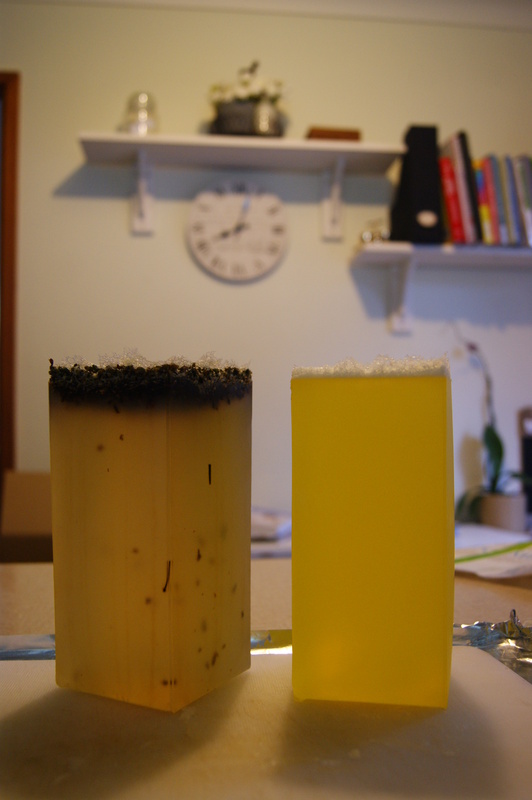 So I have yellow colouring (although with lime I probably should have used green) and lime essence for the first batch and for the second batch was lavender essence, no colouring and I tried putting lavender flowers in but that didn’t work out to well cause they just floated to the top (which you will see in the photo below) when I was trying to set the soap. Then pour the mixes into the cartons and let them cool overnight, or until solid. Mine didn’t take to long to set but I left them overnight just in case it was still soft in the middle. 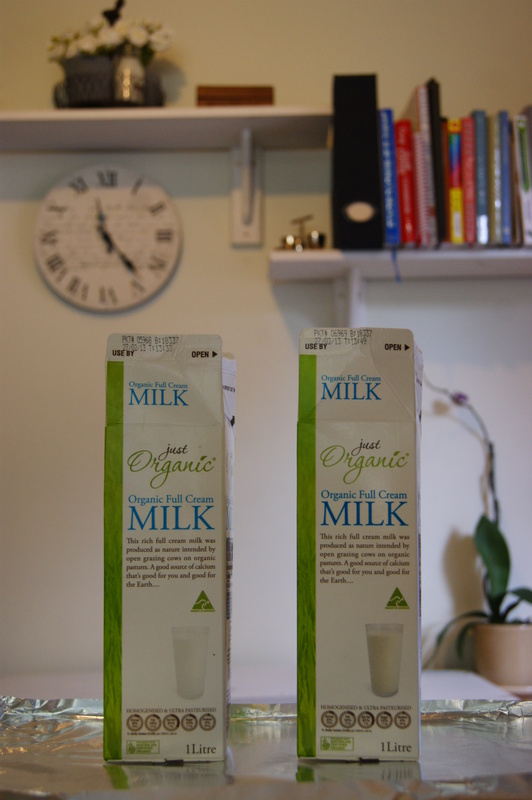 Once they have set peel off the cartons, I will be very surprised if you can get them out and save the cartons but if you manage then you can reuse them if you make more. I tried really hard but just ended up tearing them! Now just slice up the soap into the size you want, wrap in Cling-wrap and stick a little label on the back to secure the film and write whatever you want on it. 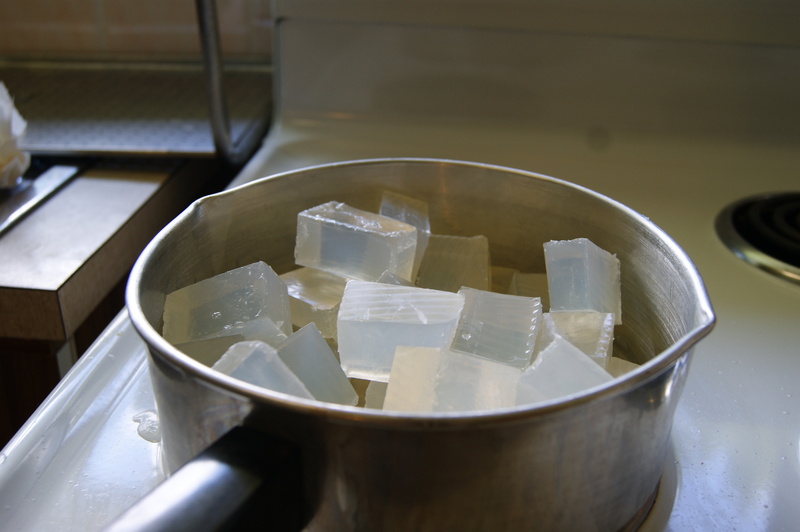 And that’s how you make soap with a soap base, one of the easier way to make soaps I think, there are other methods but it requires a fair bit more work. I love the challenges other bloggers set for each other so thought I would join in when I can. 2. Either my grandmother or grandfather on my dad’s side, mostly cause I never got to know them. They passed away when I was still very young or maybe even before I was born. 3. Nelson Mandela – Imagine having a conversation with this amazing man! 4. Terry Pratchett – I love his books and think he would be just as funny and interesting in real life. B. Book? If it’s asking my favourite book then I could re-read Spud – John Van de Ruit over and over again. But right now I am between reading books thanks to my studies. D. Drink of choice? Nice strong cuppa tea. E. Essential Items? My phone, laptop, camera and diary. F. Favourite Colour? It’s actually really hard for me to pick a favourite, I wear a fair bit of pink but I love green and yellow. G. Game to play or watch? I am not a fan of sports but would happily watch a rugby game if South Africa was playing. I. Indulgence? A long luxurious bath, I love soaking in a tub after a hard days work. J. Job? Receptionist and Massage Therapist, but I am starting maternity leave soon so will be joining the awesome work-force of stay-at-home-mommys. N. Number of siblings? 1 Sister, 2 Step-sisters & 1 Step-brother, although I have gained a wonderful sister-in-law when I married Sean. R. Reason to smile? Seeing my husband pull into the driveway when he comes home from work. U. Unknown fact about me? I get so embarresed on other peoples behalf when they make mistakes/say the wrong thing etc that it feels like I have made the mistake and start blushing! V. Vegetable you love? All of them, but I could polish off a bowl of peas for lunch. W. Worst Habit? Ignoring when I am tired and staying awake longer than I should, then being cranky in the morning cause I didn’t get enough sleep. X. X-Rays you’ve had? None, unless you count an Ultra-Sound, I have had 2 for our growing bundle.